Remember when Unique Oil Free Air played at ARThive? What better way to spend Sunday evening? There’s a heap of cool cats who like to get up and speak to you all manner of manic word smithery.. Better yet, you’re in an art gallery. It’s Sunday. SUNDAY!!! Introducing Word Hurl Anti-slam: No rules. No scoring. No logical system of judging. Just spoken word performances that punch into the audience like a hurling ball of word vomit that will turn your delicate word appreciating ears into word-paddy on toast. 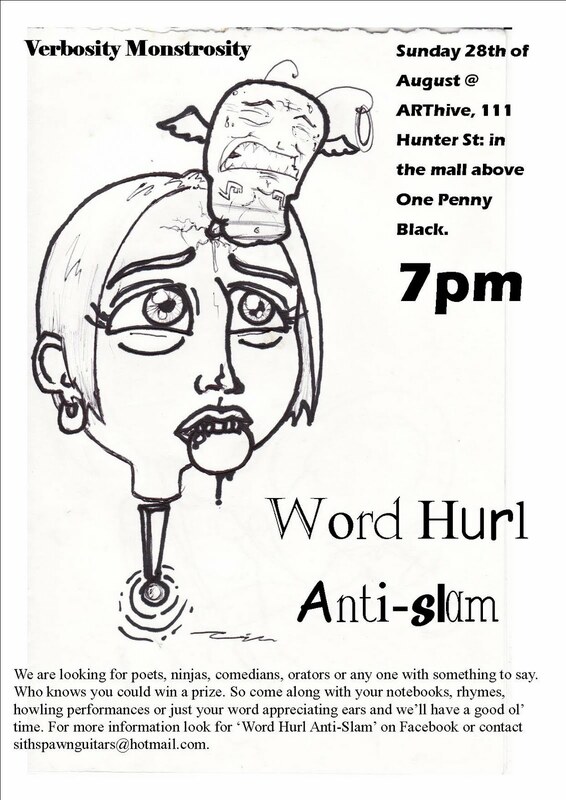 So please, bring a poem, monologue, rant, monkey impression or anything else you can do using your mouth and vocal chords or just your goddamn ears and we’ll have a good ol’ anti-slam, word hurl style. On Sunday the 28th of August, Word Hurl Anti-slam will be invading ARThive, a place you can find at 111 Hunter Mall. And getting it on. Starts at 7:00pm with sign-up ending (and the fun beginning) at 7:30pm. Drawing Time is an upcoming group exhibition curated by Daniel Smith that will take place at Sydney's Gaffa Gallery from September 7-19. The exhibition seeks to explore drawing through the diverse practices of some of Sydney and Newcastle's most interesting artists. Artists featured include Grant Hunter, Tobius Miller, Joel Beerden, Amanda Kenneth, Jo-Ann Cahill, gerant, Daniel Smith, Anastasia Freeman, Bran Sinclair, Taryn Raffan, Sarah Mould, Daniel Tanner, Eleanor Jane Robinson, Patrycja Nedziak, Eduardo Wolfe-Alegria, and Kel Macintosh. A limited edition art book will be available for purchase on the night and will also be available in digital formats. Hey! Check out this rad video interview with Steven Nuttall aka OX KING over at The Canvas Project. You can check out some of Steven's work in the upcoming This Is Not Bart exhibition at ARThive. 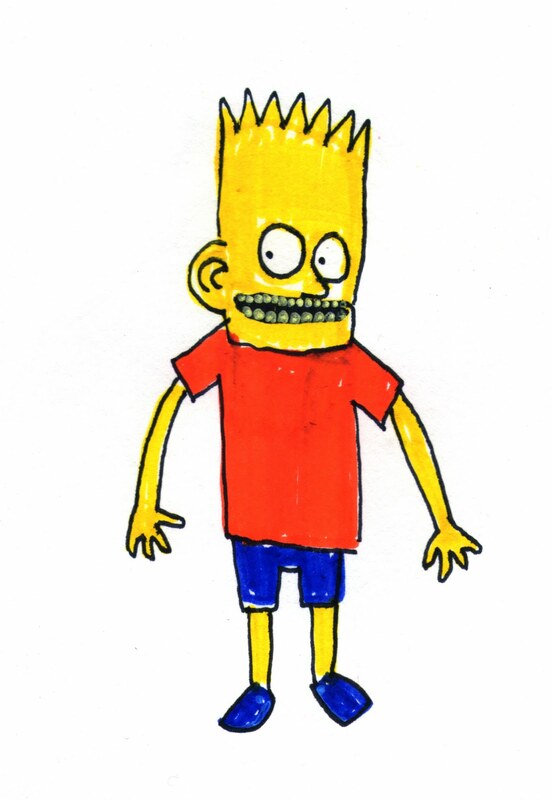 We are seeking artists working in any medium to contribute work based on or inspired by "The Simpsons". The Simpsons is an American animated sitcom created by Matt Groening for the Fox Broadcasting Company. The series is a satirical parody of a working class American lifestyle epitomized by its family of the same name, which consists of Homer, Marge, Bart, Lisa and Maggie. The show is set in the fictional city of Springfield and parodies American culture, society, television and many aspects of the human condition. All artists are invited to participate, so if you'd like to be a part of this great show, email subjecthive@gmail.com with a link to your URL or some lo-res jpegs of your previous work. It's that easy! A $5 fee will be payable for all selected artists, and 25% commission will be taken on all works sold. For those who came in late, here's what you may have missed in the last year! 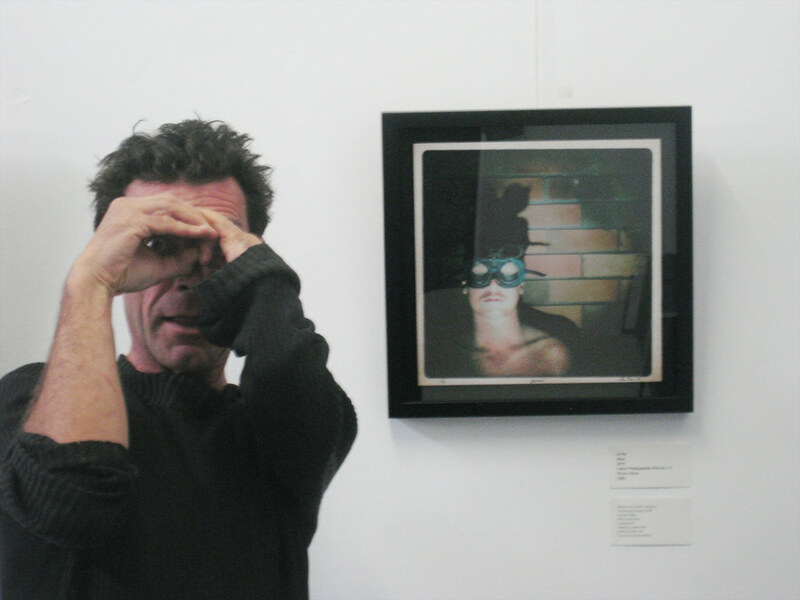 Following the departure of founding Director Simone Sheridan (who went on to co-ordinate TINA 2010 and SAW among other projects), the remaining arthive dudes have put together a pretty diverse and solid year of exhibitions. Twice as many in fact! 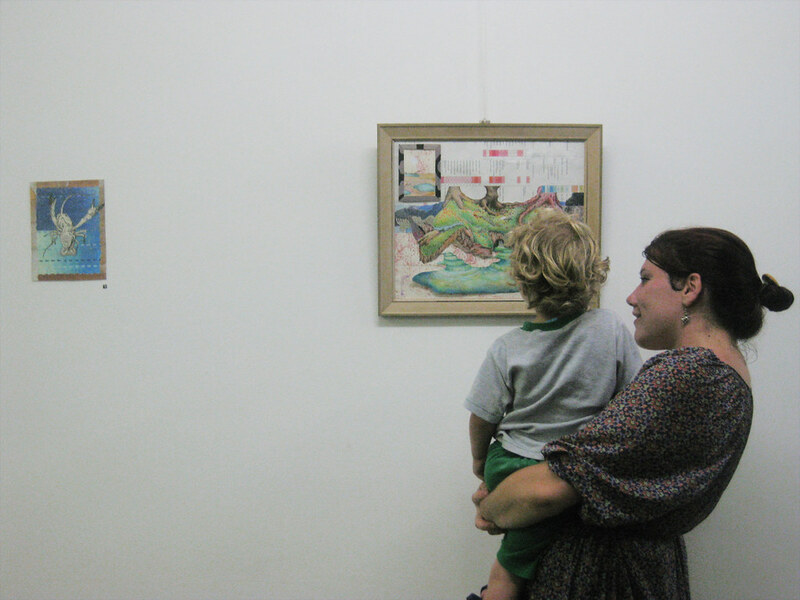 We cut the length of our exhibitions down to two weeks, which meant more exhibitions, more artists, more art! There's a lot to get through so here we go! 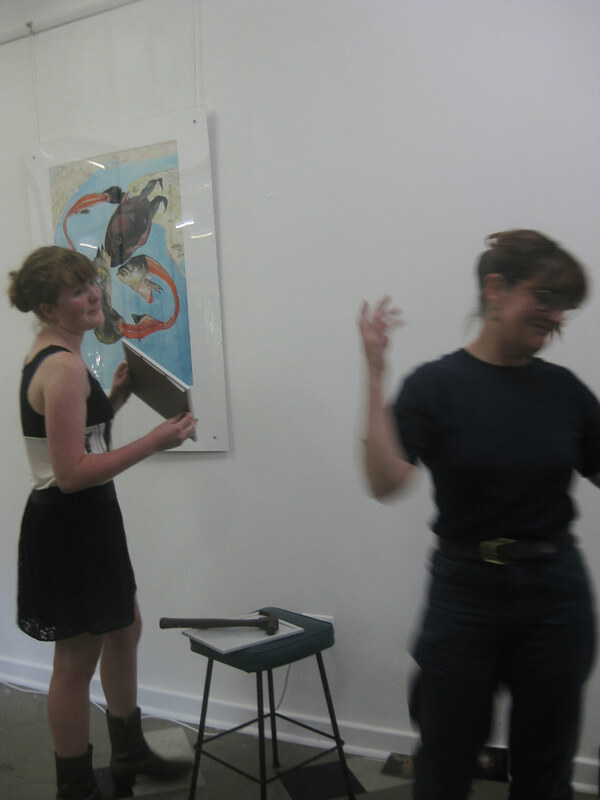 First up we had the debut solo exhibition for promising young local artist Rachael O'Neill. 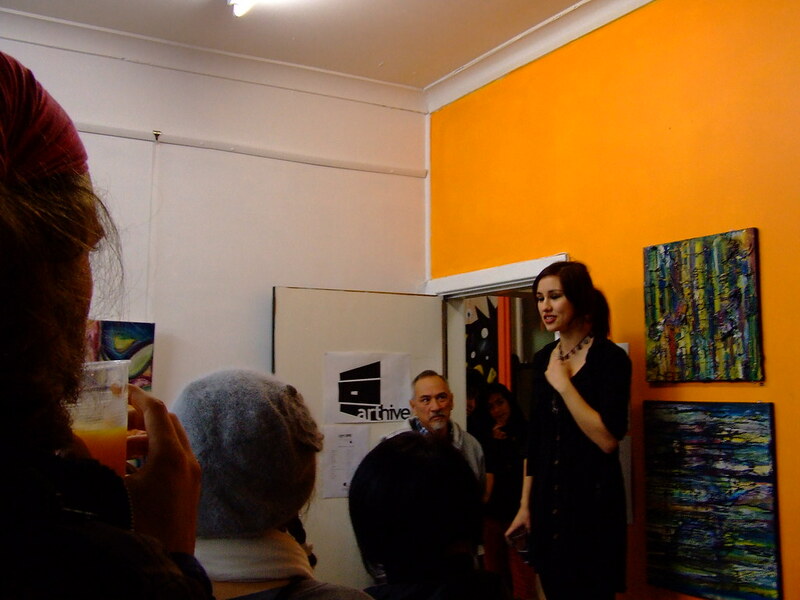 Capturing Compassion was a very personal show for Rachael, and we were pleased to be able to help her make it happen. It was a massive success and raised heaps of money for domestic violence charity NSW Women's Refuge Movement and also the Human Rights Watch. 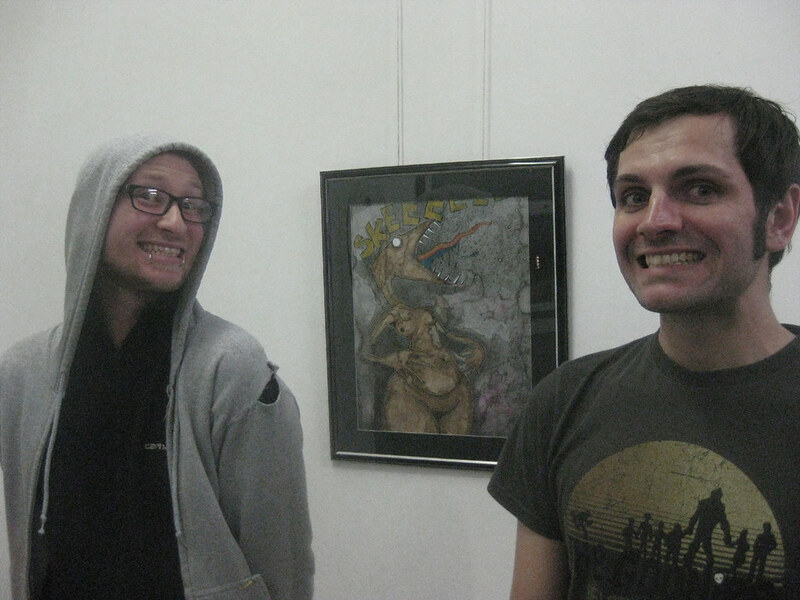 We had a vacancy in our exhibition program and fortunately we were approached at just the right time by James Jeffery Moran and Ry Wilkin to host their Catch 22 exhibition. The work of each artist complimented the others quite nicely, they made a fantastic team. 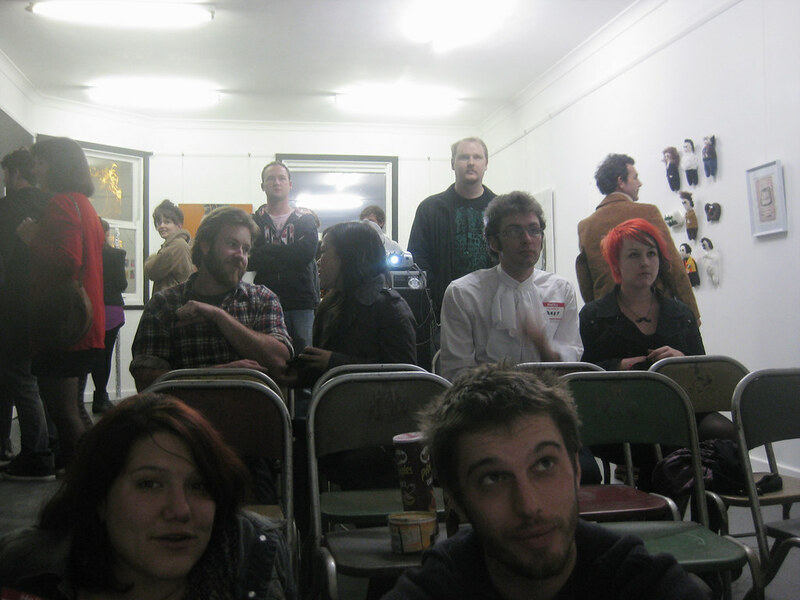 Heaps of people came to the show as well, so they obviously have more friends than we do. Matthew Reilly's Ten Chicken Mcnuggets was an exhibition that documented the waste Matthew had encountered walking between his local McDonalds restaurant and his home. 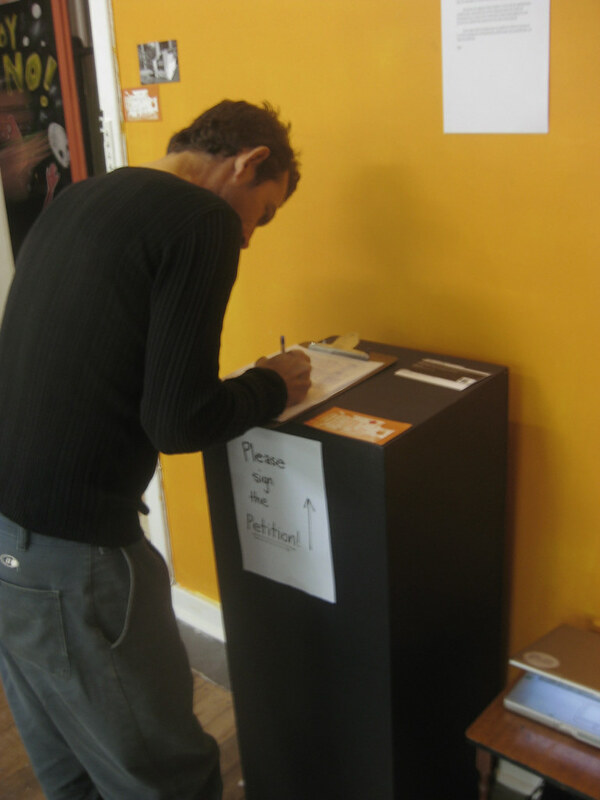 In addition to displaying the carefully composed photographic evidence of every piece of cardboard debris, he also invited gallery attendees to sign a petition to make the restaurant take responsibility for their own rubbish. Another good cause! We had such a blast working with James Jeffery Moran and Ry Wilkin that we invited them back to curate a group show for us. 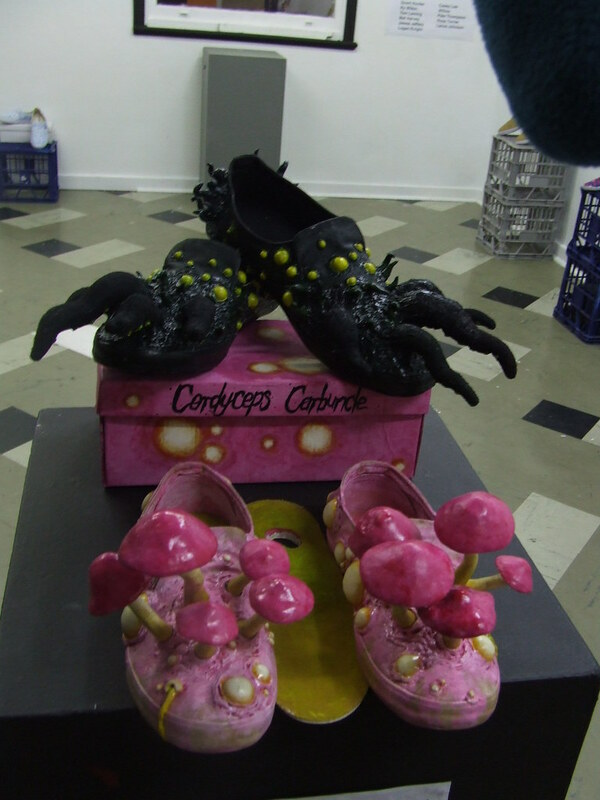 They somehow managed to score a few boxes of canvas shoes from a local footwear company, and so an exhibition of custom painted shoes was pulled together at the last minute from out of nowhere! It was called Sneaky September! Each artist who participated in the show contributed at least one pair of modified shoes, and since there was all that blank wall space, we filled that with art too. Funnily enough James broke his foot skateboarding so was on crutches for the duration of the show. 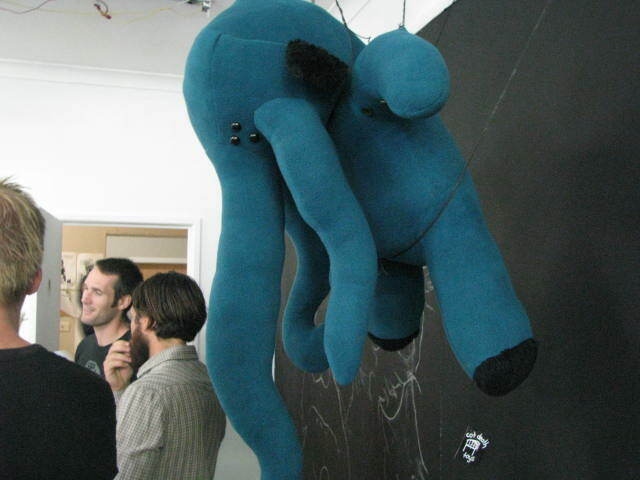 Sticky Fingers was a drawing show curated by Sarah Mould and Grant Hunter. Featuring all the best drawing talents we could assemble, including Trevor Dickinson, Tobius Miller, Ben Kenning, Nicholas French, and more, the show benefited from overlapping with the annual This Is Not Art festival, so heaps of people actually came into the gallery for a change. We also hosted Air City, a balloon art workshop for Sydney artist Tully Arnot over the TINA weekend which was very rad too. 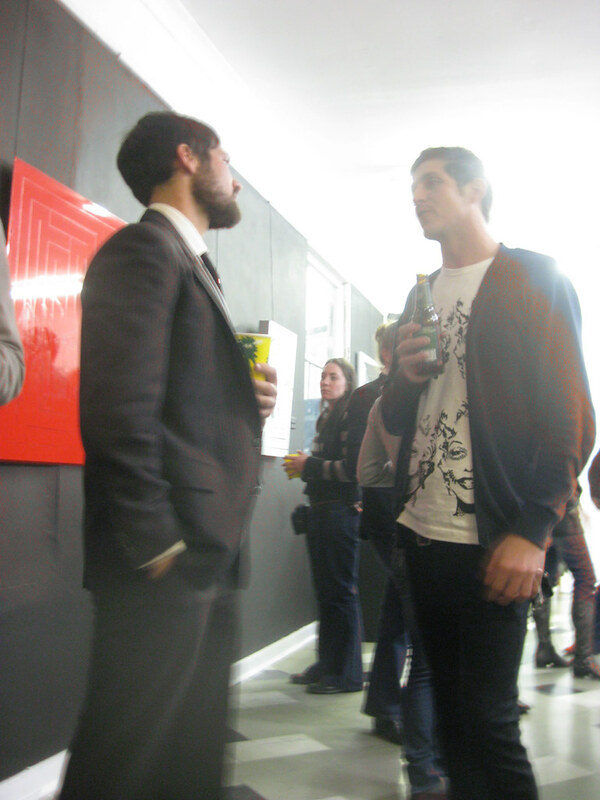 Arthive's own man-of-the-house Lance Johnson and his mate Brenton Brooker transformed the gallery with a unique hanging system for their photo show Satellite. 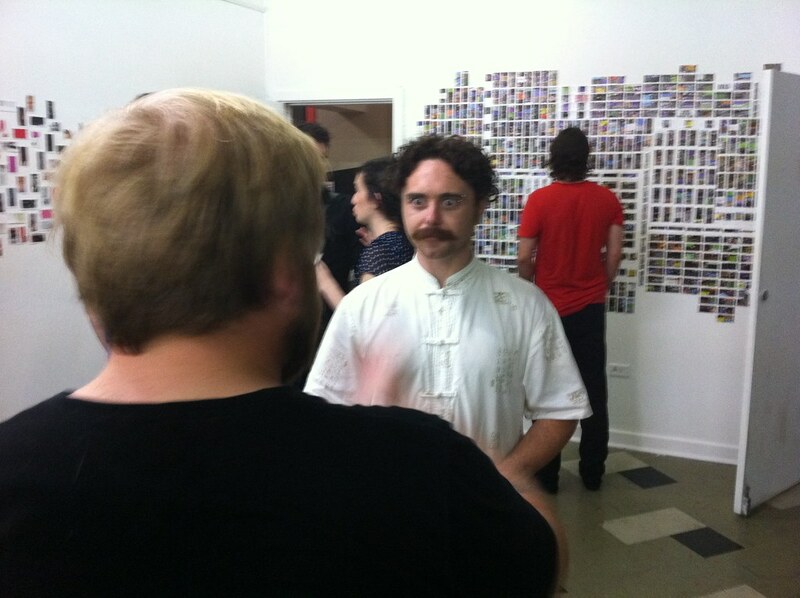 I first met Steven Nuttall at the Excelsior Hotel in Sydney and he asked me about ARThive and handed me a business card and eventually we got to know him and he turned out to be a really good dude and his work is amazing so we eventually persuaded him to have a show at ARThive, which turned out to be Spook House. 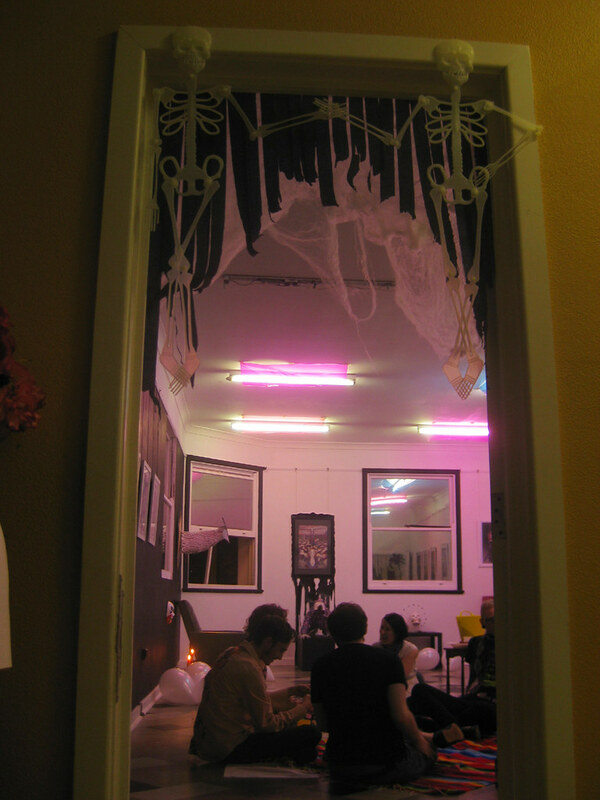 Consisting of original illustrations, prints, sculptural works, the show was heaps awesome and it all culminated in a sick Halloween party with live bands like Hira Hira, Crab Smasher, Mere Women, and gnarly food, scary decorations and ghoulish fancy dress. Steven expanded upon this same concept for a follow up show at Hardware Gallery in Sydney, presumably because nobody in Newcastle came to see it. The exhibition that caused quite a stir in my own imagination was I Louvre Rock & Roll, the collected masterworks of Nancy Vandal frontman Mike Foxall. The exhibition was both a comprehensive collection of works for concert posters, comic books, music videos, and short films, as well as a launch for his art book of the same called I Louvre Rock & Roll. We had to drive all the way to Bathurst to collect all of the work, and we were given unprecedented access to his entire archive, plus a handful of original paintings completed just for this exhibition. This was a dream show for us, and somehow we actually made it happen! The V&A exhibition was put together by the Mother and Daughter team of Amelia Filmer-Sankey and Venetia Sieveking, both seemingly at opposite ends of their art careers, but able to come together with this successful collection of paintings, prints, photographs and poetry. 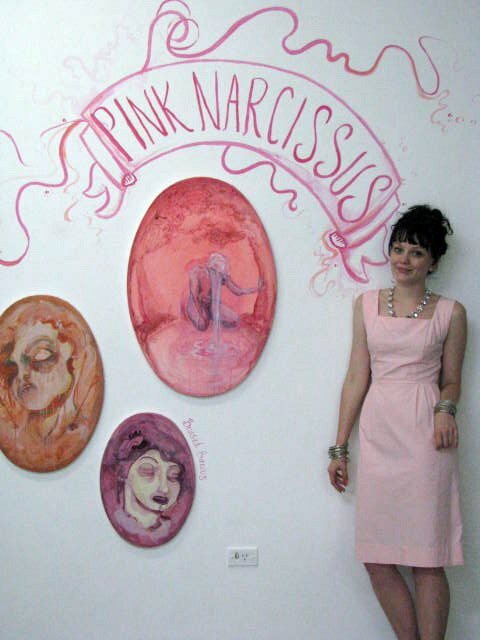 Arthive's own Rose Turner dazzled everybody with her Pink Narcissus solo exhibition, her first show in a year and also her first real foray into painting. A Renew Newcastle tour on the opening night was unprepared for the fleshy bits on display, but the kids and grandads loved it, and probably came back and bought some when their wives or parents weren't looking. Elizabeth Nagy is one of our favourite people and a splendid artist too. 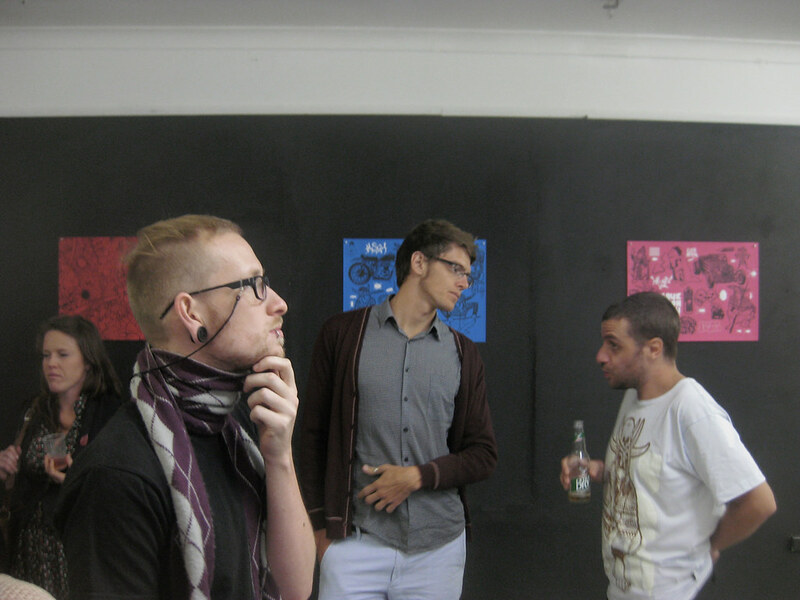 Her Time Pour show was our first for 2011 and featured a selection of her illustration and collage work, as well as some new experiments with digital technology using Microsoft Paint of all things. DAg ARt aka Daniel Smith, Amanda Kenneth, and gerant, filled the entire gallery with hundreds and hundreds of home made stickers for their Celebrity Story exhibition. The stickers were crafted out of cut up images and text from celebrity magazines and various other sources. These stickers created hilarious juxtapositions, and the sheer quantity of the work meant that there was always something new to see. Bat Yoghurt played at the opening and it was awesome! We hope to have all of these guys back again some day because they're the best. Alternate Woodland Critter Evolution Fan Fiction may have been a mouthful of an exhibition title, but the exhibition was really something else! The gallery was overrun by plushies, creatures, furry things, actual trees, and lots of nerdy reading that corresponded with the artworks too. The whole thing was a group show cooked up in the woods by Logan Knight, who really is the guy to go to if you're after a game of D&D. 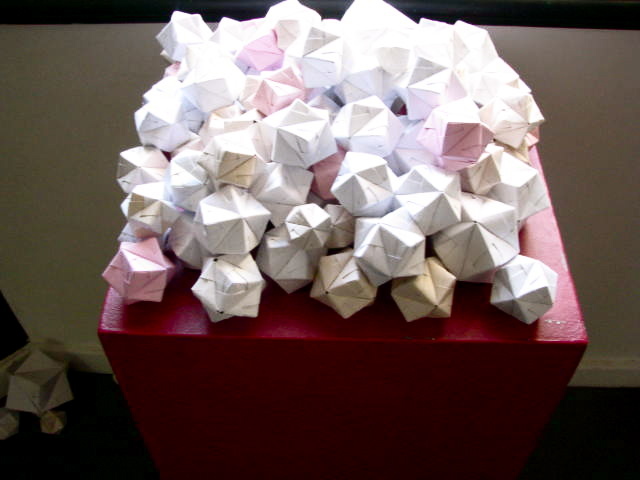 Renee Fitzpatrick's Stellated Octahedrons was a wonderland of geometry and papercraft, that included abstract drawings, prints, and origami! Our first ever international exhibition made us very nervous and was perhaps our biggest undertaking yet, but we gave it a shot and somehow made it all work. 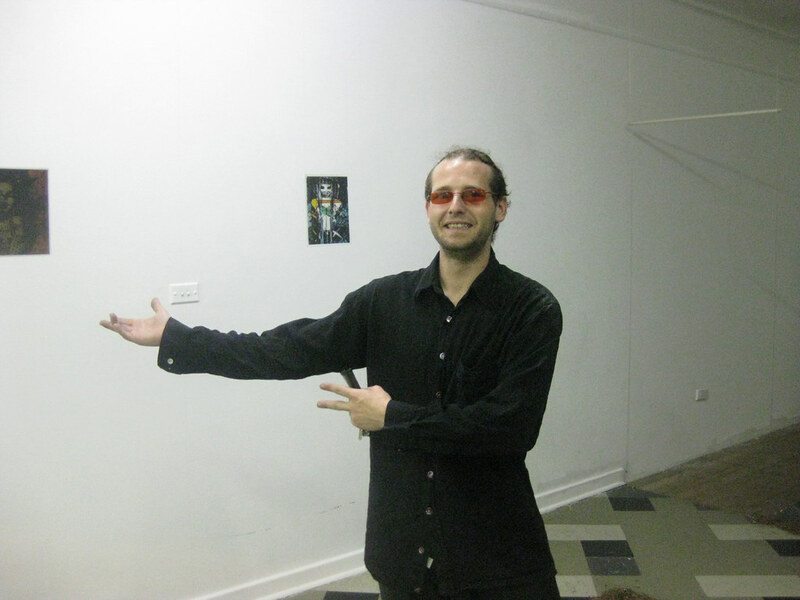 Touring artist MEGA made ARThive the very first stop on his Longing To Be Knotted Together exhibition tour of the world. Thanks to Renew Newcastle we were able to provide him with residential quarters for the duration of his stay, and thanks to the design faculty at The University Of Newcastle we were able to schedule a great artist talk, that left the design kids inspired and buzzing. Sydney artist Sez Le Pie came up and delivered an encore performance of her iPortrait exhibition, a series of iphone photo portraits dealing with identity in the age of social media, which had previously shown in a Sydney exhibition space, but was recycled for a Newcastle audience. If I were a betting man I'd put all my money on this being our most popular exhibition this year. What began as an excuse to have a private Arthive Seinfeld marathon quickly turned into a giant exhibition and celebration of everybody's favourite sitcom. Curated by Jessica Louttit, and featuring the best of ARThive's resident artists plus a whole bunch of new faces, Art Vandelay, the Seinfeld tribute show about nothing had probably the best attendance for an opening night that we've had this year, and also scored loads of media coverage in the local papers and also all over the internet. Who would have thought this would ever be so much fun? 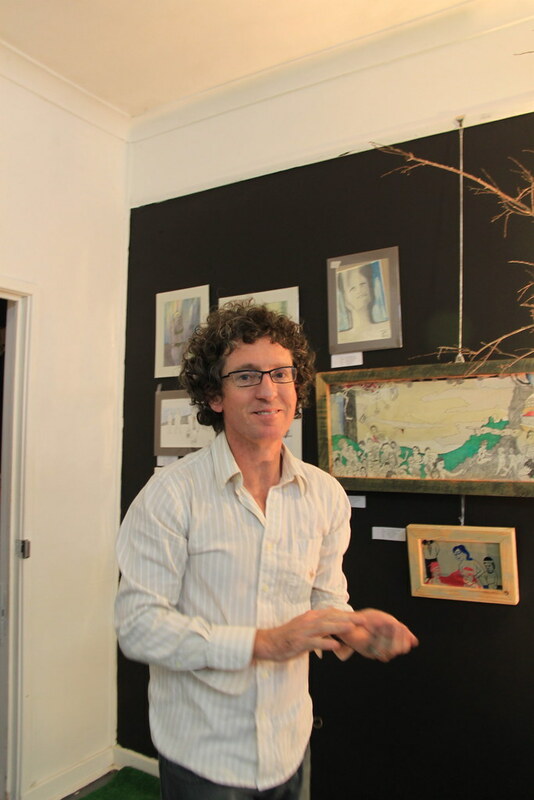 Finally we had Eddie Botha's Teasing The Taught exhibition, which was initially supposed to comprise of a large selection of work completed while travelling overseas earlier in the year, but all of the work was unfortunately held up in customs and didn't make it here in time. Somehow Eddie managed to fill the gallery with work anyway, much of it completed in the weeks before the opening. It was a fantastic exhibition, and a real passion project for us here at the gallery, as Eddie is one of our very favourite artists. That's it for now! Thanks for everything, stay tuned for more cool stuff as it happens. 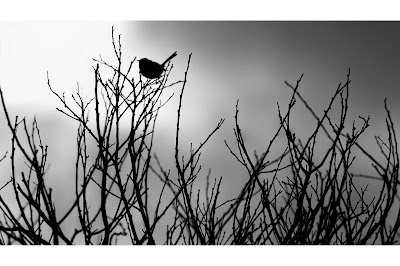 Faery tales, silent stars, long exposures and much much more. Karen who is another passionate creative type, loves long exposures, nature, also the art as well as costuming of tribal belly dance all which show within her work. 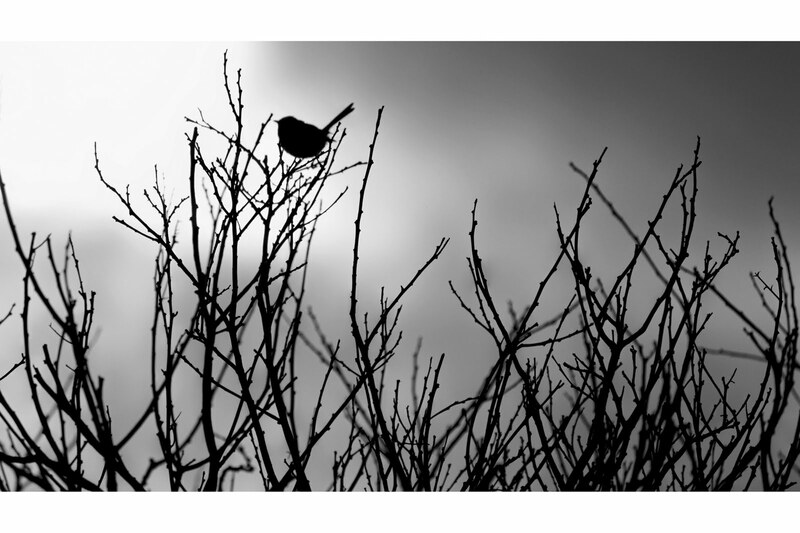 Her photography seeks to capture textures, mystery, light hearted love and beauty. Both being left handers since they were born felt it only seemed right they would come together to do an exhibition together. There will also be performances from Bahirah Bellydance. Not to mention nibblies, chatting and all round fun.